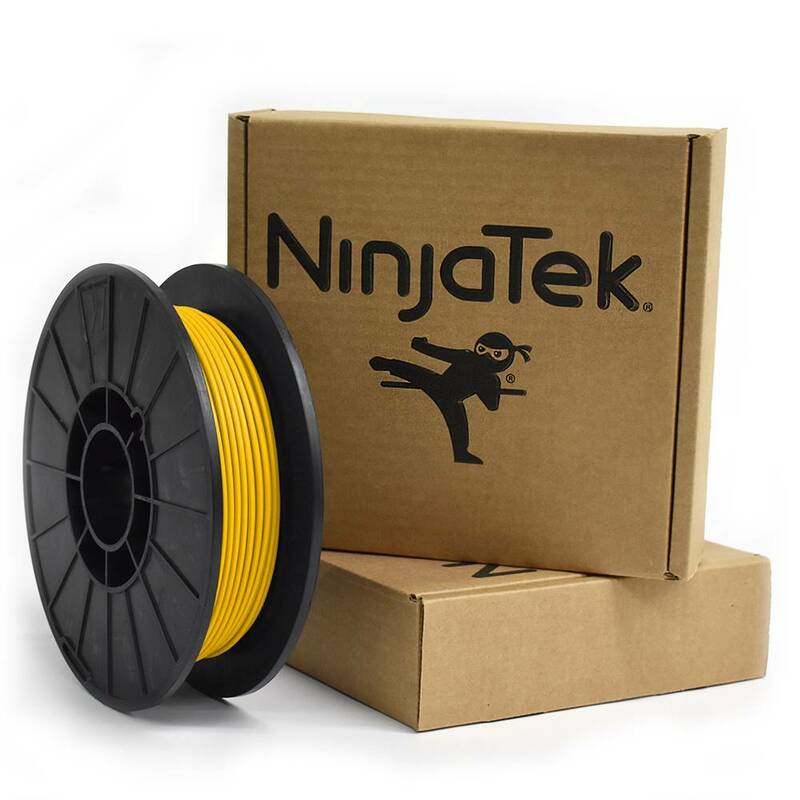 Make flexible prints with low-tack, easy-to-feed NinjaFlex® filaments. 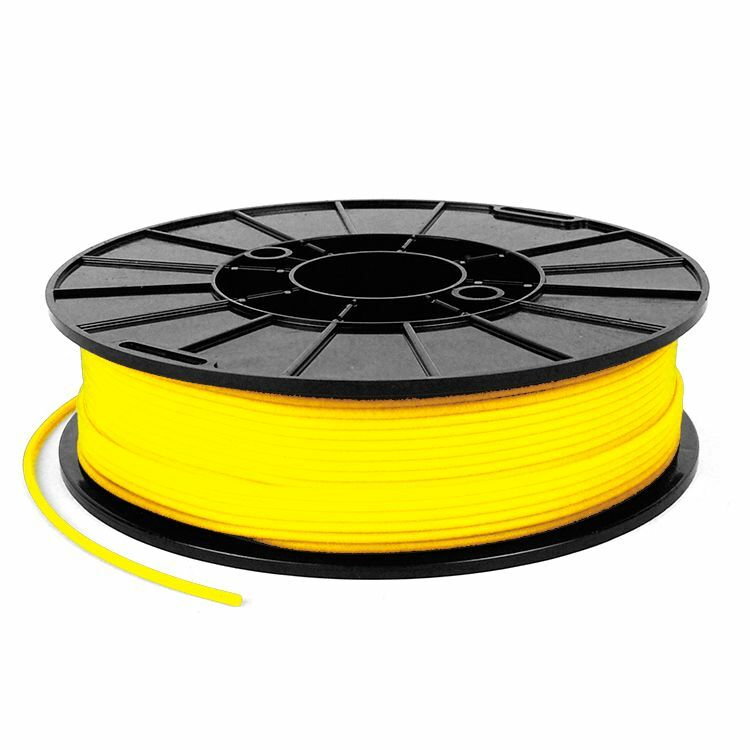 Suitable for 3D printers that can print PLA and ABS, optimal with direct-drive extruders. NinjaFlex® is a specially formulated TPE that produces flexible and strong prints. 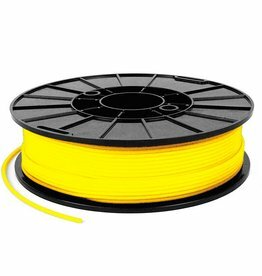 Flexible TPE filament in yellow. Print on a heated bed at about 20-50°C. NinjaFlex® bonds well to most surfaces (including aluminum and glass, blue painters tape, etc. ), so coating the build platform is not necessary. Kapton tape can be used with NinjaFlex®, but the adhesion of the printed part to the tape may be stronger than the adhesive holding the tape to the build platform. 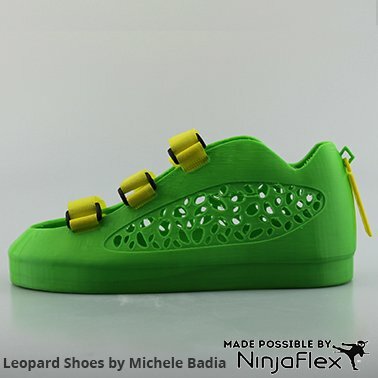 The suggested 3D print speed is around 20-30 mm/s. While NinjaFlex® is resistant to most oils, it is highly affected by solvents, acids, and fuels such as gasoline. If the printed part should need to be cleaned, a mild soap solution is recommended.